Cut the chicken into roast-size pieces. Stab the chicken pieces a few times with a fork. Marinate the chicken with all the (chicken) ingredients, except for butter. 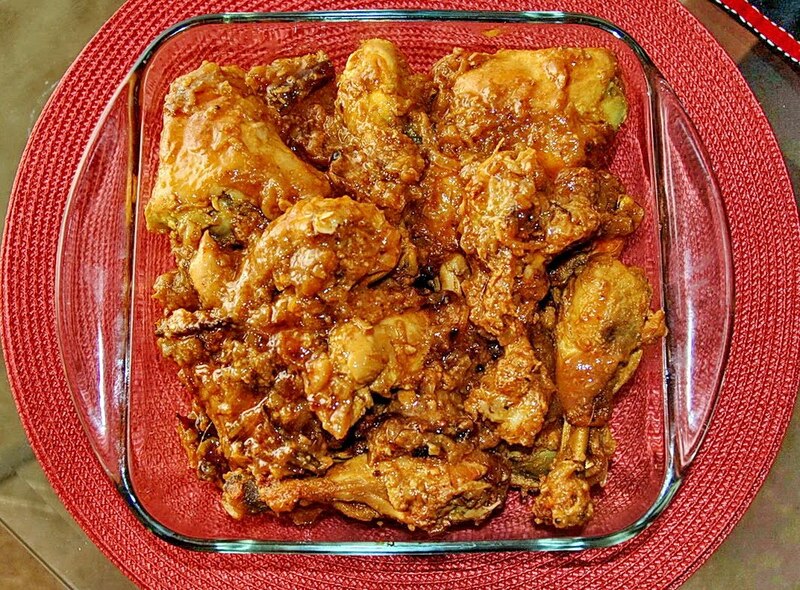 Take the mix out of the refrigerator and remove the chicken pieces from the mix. Brush the chicken with butter. Fry the chicken lightly in a little bit of oil and keep aside. Heat the rest of the oil in a pan and fry the garlic, ginger, cardamom and cinnamon. Add in the chicken pieces and the mix, and cook for 3 to 4 mins. Pour in a cup of water. Keep covered over low heat for 10 minutes. Turn the chicken pieces over as they are cooking. Stir in the lime juice and sugar once the gravy dries up a bit. Cook until the chicken is lightly fried. it looks spicy and delicious after cooking.